David F. Bjorklund, Ph.D., is a Professor of Psychology at Florida Atlantic University, where he has taught graduate and undergraduate courses in developmental and evolutionary psychology since 1976. He received a BA degree in Psychology from the University of Massachusetts in 1971, an MA degree in Psychology from the University of Dayton in 1973, and a Ph.D. degree in Developmental Psychology from the University of North Carolina at Chapel Hill in 1976. He has received numerous teaching and research awards from Florida Atlantic University, and is the recipient of an Alexander von Humboldt Research Award. He served as Associate Editor of Child Development (1997-2001) and is currently serving as Editor of the Journal of Experimental Child Psychology. He has served on the editorial boards of numerous journals and also served as a contributing editor to Parents Magazine. He has published more than 170 scholarly articles on various topics relating to child development and evolutionary psychology and has received financial support for his research from the National Science Foundation, the Spencer Foundation, and the German Research Foundation. 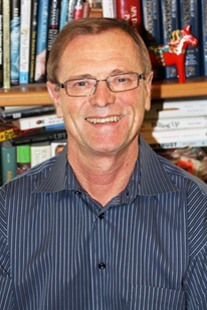 His other books include Children's Thinking: Cognitive Development and Individual Differences, now in its fifth edition; Why Youth is Not Wasted on the Young; Looking at Children: An Introduction to Child Development (with Barbara Bjorklund); Parents Book of Discipline (with Barbara Bjorklund); Applied Child Study (with Anthony Pellegrini); The Origins of Human Nature: Evolutionary Developmental Psychology (with Anthony Pellegrini); Children's Strategies: Contemporary Views of Cognitive Development; False-Memory Creation in Children and Adults: Theory, Research, and Implications; and Origins of the Social Mind: Evolutionary Psychology and Child Development (edited with Bruce Ellis). His current research interests include children’s cognitive development and evolutionary developmental psychology. He lives in Jupiter, Florida, with his wife Barbara, and enjoys traveling, cooking, playing basketball, and kayaking.